Edge Devices, Edge Computing: Back to the Future? Nearly every recent article about the explosive growth in devices connected to the Internet (the Internet of Things, or IoT) mentions Edge or Fog Computing – generally without any clear explanation of what that means. When explanations are offered, they are often inconsistent. This post aims to shed some light on these and related terms, while putting the underlying concept in context. To help in this process, let’s start with the recognition that “what’s old often becomes new again” – even in the fast-moving field of Information Technology. In the early days of computing, the IT world consisted of mainframe computers that were accessed remotely by “dumb” terminals. Organizations that did not have their own mainframes generally got access through companies that effectively rented out software by the hour – known back then as “time sharing”. The introduction of personal computers changed all that, with more and more processing being performed locally on desktop and laptop computers. This provided a number of advantages to users who no longer had to deal with the limitations of sharing remote computers, but it also introduced a range of issues, including security concerns. “Client-server” architecture was introduced to try to wrest some control back, but for the most part the genie was out of the bottle, and we had moved to the world of distributed computing. And then along came the Internet. To a large extent, Cloud Computing and Software as a Service put us back into the world of mainframe computers and time-sharing, with software being accessed remotely on 3rd-party-controlled computers. While PCs and mobile devices continue to represent an ever-expanding set of distributed computing devices, more and more computing has moved into the Cloud. The Internet of Things, with the potential for billions of devices connecting directly to the Cloud, has raised concerns about bandwidth limitations, latency problems and, yes, security. This has led in the last few years to a growing interest in the concept of Edge Computing. Edge Computing, also called Fog Computing, is intended to enhance Cloud Computing by performing some processing and analysis in devices located at the “edge” of the local network (Edge Devices), near the source of the data. This reduces the amount of data that needs to be transmitted to the Cloud (reducing required bandwidth), and eliminates the latency associated with the round-trip movement of data. An Edge Device can be a computer, a gateway, or some other device that performs local processing. Back to the days of client-server? 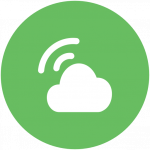 Why is Edge Computing important? First of all, for applications that generate and consume massive amounts of data, reducing the volume of data that is transmitted to the Cloud reduces bandwidth requirements, drives down the cost of communications, and reduces the processing resources required in the Cloud. Second, for certain applications latency can be especially critical. For example, in the case of autonomous driving, the 100-200 millisecond latency delay of communicating with the Cloud could literally be a matter of life or death. For a range of medical applications, eliminating latency could also be critically important. And there are many other examples in very different business areas. Finally, if billions of additional “things” are suddenly communicating with the Cloud independently, the task of keeping everything secure has just been made much harder. The bottom line then is that Edge Computing will continue to become more important, but its level of importance and the way it will be adopted will and should vary widely among different applications. For example, SiteSage® by Powerhouse Dynamics is a platform that connects, monitors, analyzes and controls equipment to enhance equipment performance, provide operational transparency and reduce energy costs for portfolios of commercial facilities. While data is transmitted to the Cloud every minute from every piece of equipment, in the scheme of things that amount of data is relatively small. Latency is not a major issue for most applications of SiteSage. That being said, Powerhouse Dynamics incorporated Edge Devices into the platform from the get-go to allow certain analyses and functions to be conducted locally and to maintain data locally for a period of time in the event of communication failures (or power) failures. 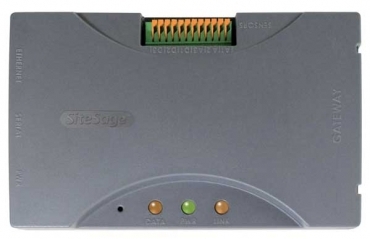 Perhaps most importantly, SiteSage deploys an Edge Device in the form of an IoT Gateway that communicates with every device on the platform and is the only device communicating with the Cloud. This architecture greatly enhances security. This is clearly the number one advantage of Edge Computing for SiteSage, and the one that got the most attention during product design. The SiteSage architecture was an important factor in the ability to obtain PCI Level 1 security compliance, and the high level of security has become a key competitive advantage. So, back to the future, but with some new terminology – not to mention amazing new technologies. As data processing requirements continue to surge, there will be a need for much greater balance between Cloud and Edge Computing. Each company introducing products in this space needs to understand how to best create and maintain that balance based on the unique requirements of their technology. 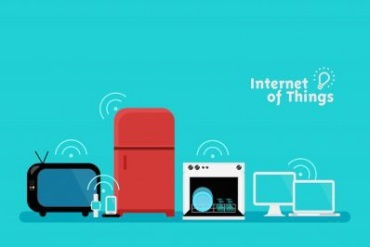 Interested in reading more about SiteSage and the Internet of Things?